Samsung’s drop-down power menu and HTC’s multi-talented unlock screen come to mind. There are those who prefer HTC’s Sense UI to stock Android, and for those Sense 4.0 is certainly something to look forward to. 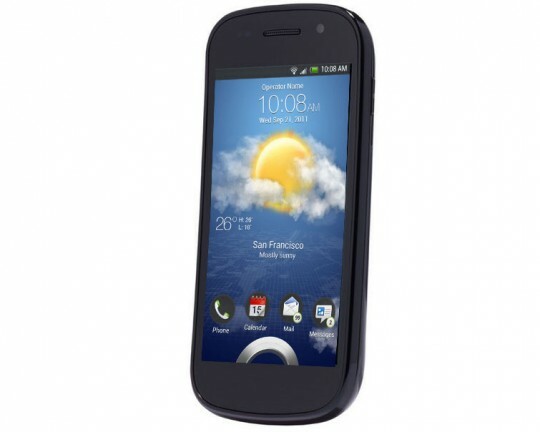 If (by some chance) you’re a Sense fan who currently owns Samsung Nexus S, you can try out Ice Cream Sandwich and Sense 4.0 right now, courtesy of XDA Developers member swamp goblin. Currently the port is in a pre-alpha state, meaning it’s about as buggy as a week-old BLT on the sidewalk. The ROM itself stems from the leak of the Endeavor (now the HTC One X) ROM, which is also being used in for other projects specifically coded for HTC phones. The developer of the Nexus S port stresses that almost nothing is working: it boots and launches some HTC-specific apps, and not much else. Even the radio isn’t working at the moment, though it’s only been officially tested on the CDMA Nexus S 4G – standard Nexus S owners may or may not have more luck. Even so, this isn’t a daily driver by any stretch of the imagination – unless you’re just really curious, you might want to wait for a more stable update. Some may cry foul at sullying the Nexus S’ pure Android facade with a copyrighted skin like Sense, not to mention bring HTC exclusive features to a Samsung phone. We say live and let live – mods like this are what keep the Android community ticking. Shine on you crazy diamond and all that jazz. For those who want the real thing, HTC’s new crop of phones should be coming to the UK next month, with American releases for the HTC One X and One S on AT&T and T-Mobile, respectively, following in the summer.